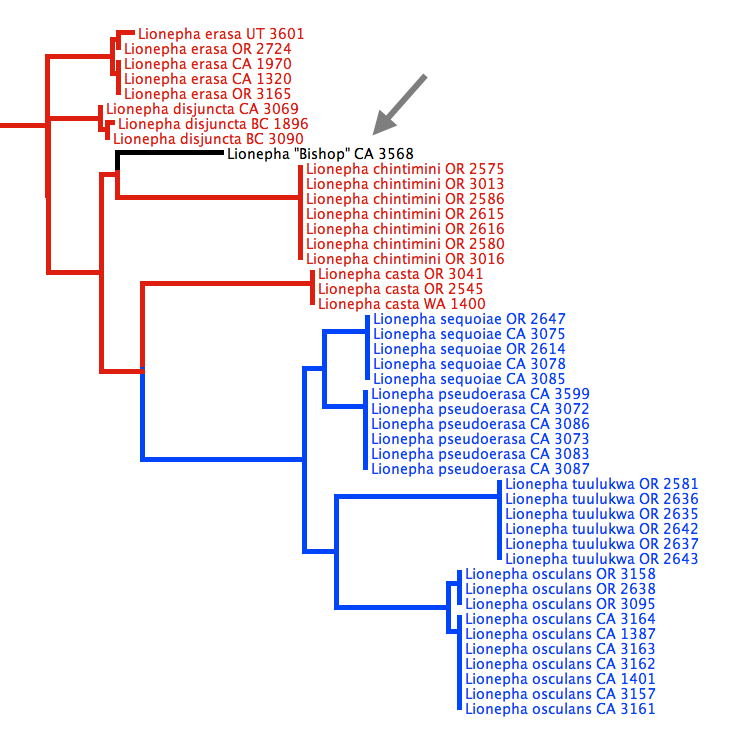 In the late spring I was in the final stages of a manuscript about the genus Lionepha. This paper will describe the new species I have mentioned earlier, describe the male of Lionepha chintimini for the first time, document DNA sequence variation patterns within genus, and provide revised identification tools (beyond those in Erwin and Kavanaugh’s 1981 paper). I had completed all the DNA sequence analyses, written much of the paper, and was working on the figures. And then, toward the end of the BLT, we collected in the Sierra Nevada west of Bishop, California. 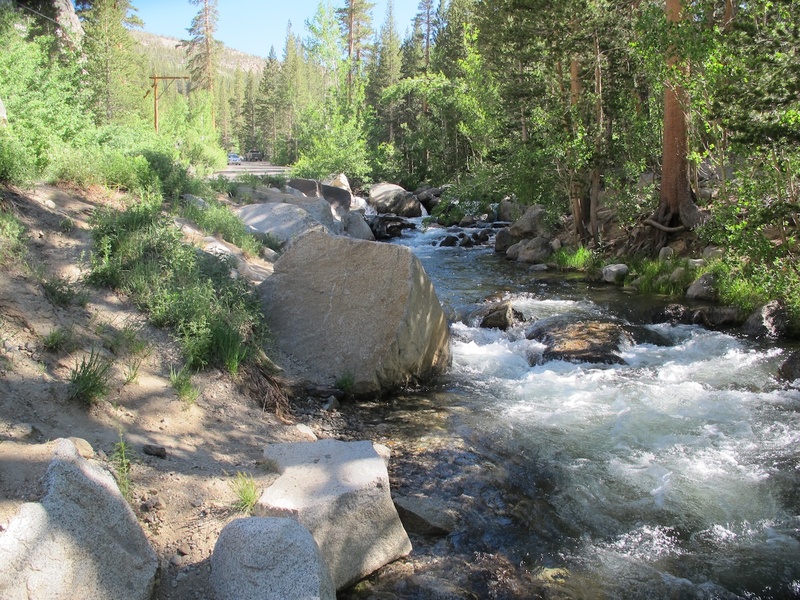 Along the South Fork of Bishop Creek (pictured below) my graduate student John Sproul found three Lionepha amongst the gravel of the shoreline. At first glance they looked like L. erasa, which is known from that area. When we got back to Oregon, I looked at them under the scope. Two of the specimens are L. erasa, having the classic nearly-circular (“isodiametric”, consisting of little polygons that are of similar distance across in all directions) sculpticells of that species. But the third specimen very much puzzled me. I have never seen a L. erasa like this, and I immediately suspected this was something special. 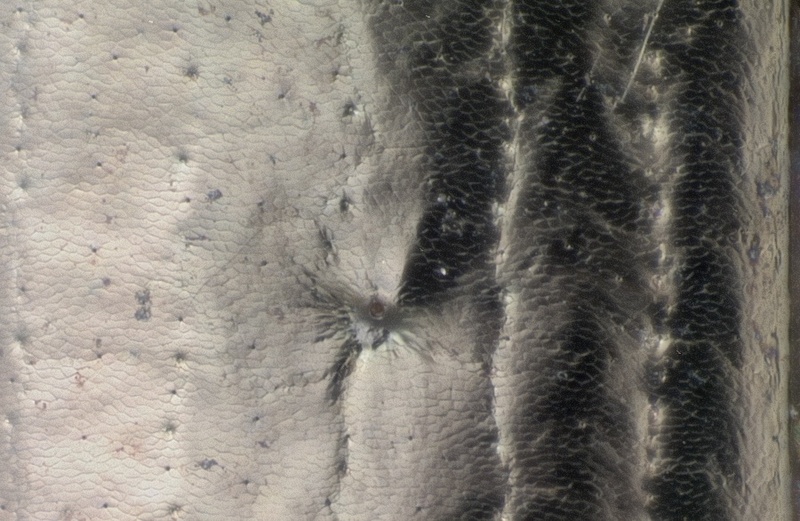 The microsculpture looks most like that of Lionepha casta, which is not known from the Sierra Nevada, or Lionepha lindrothella, which is a northern species not known from south of Washington state. There are several morphological differences that suggest this specimen is neither L. casta nor L. lindrothella. There are no Lionepha known from the Sierra Nevada that have microsculpture anything like this specimen. 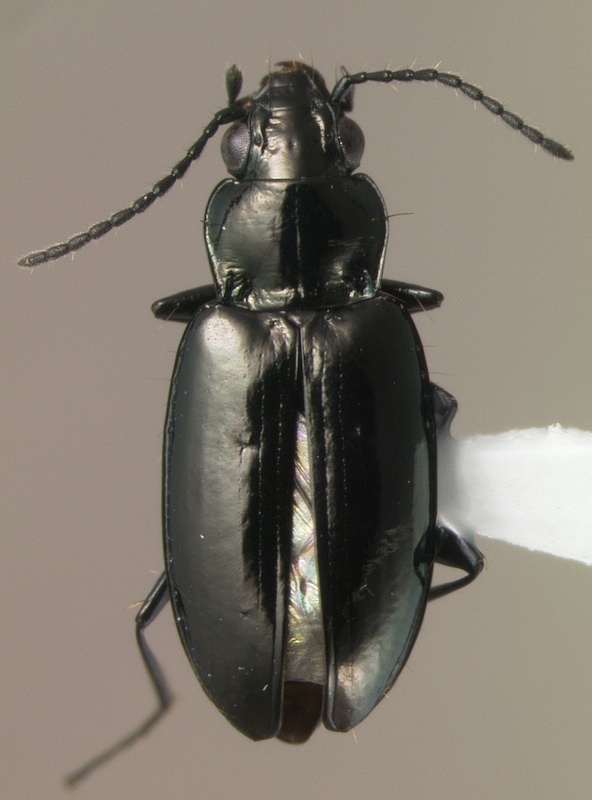 We’ve sequenced several genes from this specimen, and the answer is clear: it is not L. erasa, nor is it L. casta, and is distinct from any species we have sequenced. For example, here’s what the gene tree looks like for 28S rDNA; specimen 3568 is the one at issue. Gene tree for 28S ribosomal DNA. Specimens in red belong to the L. erasa species group, and in blue the L. osculans species group. I’ve subsequently looked at the male genitalia of specimen 3568, which is extremely pale because of the teneral status of the individual, so much so that it is hard to interpret. Nonetheless, it does not look like the genitalia of L. lindrothella or L. casta, or, for that matter, any described Lionepha. It looks as if we have another new species on our hands. Until last week, I struggled with the decision as to whether or not to give this species a formal name. The problem was that I had only the single specimen, and a teneral one at that. I was quite sure it is an unnamed species, but I would have been a bit more confident if I had seen other specimens. I also would have liked to see what the male genitalia look like of a non-teneral. The main reason I went to the Bay Area last week was to see if the California Academy of Sciences (CAS) collection had any additional specimens. And, indeed, they had. In their collection were several singletons, including some old material from Blaisdell and Bartholomew, as well as two newer series. One of these series was collected by Dave Kavanaugh, one by Igor Sokolov. All are from the high-elevation Sierra Nevadas, from near their southern end north to Truckee. I’ve looked at the aedeagus of three of these specimens (two from the southern Sierras and one from near Lake Tahoe) and they are clearly distinct from other known Lionepha. I now have enough material to comfortably describe the species. I also managed to extract some DNA from one of Igor’s carded specimens and got good PCR bands for 28S, COI, and topoisomerase – I should get the sequences back tomorrow. This entry was posted in Fieldwork, Revising Bembidiina, Taxonomic Process and tagged DNA taxonomy, genitalia, Lionepha, microsculpture. Bookmark the permalink.